It was a cloudy day when we started out for Sivakumar’s farm in Koodapakkam, Puducherry. After a 30 minute drive, we see a friendly face wave at us from a jam-packed car. Parvatha gets down along with five others and shows us the way. As we walk along the rain-kissed paddy fields waiting for the harvest, the sun begins to shine through. Like us, all of these youngsters had been total strangers until a movement swept them all. A movement that caught all of our attention for its sheer tenacity. It was January 2017 and the crowds refused to recede in Marina – the world’s second largest beach – as it spontaneously became the venue for a large people’s movement against the Apex court’s ban on jallikattu (a traditional Tamil bull-taming sport). Nobody could really understand the phenomenon of why common men and women thronged the venue to register their support for it. But amidst loud sloganeering against the ban, there were also active discussions on several social issues like increasing farmer suicides, saving lakes, banning plastic usage etc. The 16-day protest had, in fact, become a networking space for any concerned citizen. Many found and connected with people who had similar ‘social’ interests, much like in Facebook, but in real life. For instance, Parvatha Rakesh (34), a French teacher from Puducherry, had gone to Marina with her students to protest against the ‘interference’ on an ancient tradition. On her first stint at a public platform (on one of the stages put up across the Marina), Parvatha not only raised her voice for the sport but also spoke of her own personal battles. Her baby had to be hospitalised after she turned allergic to packaged milk. Parvatha has since been promoting the need to bring back healthy pesticide-free food and pure organic milk to her friends and families. This touched a chord with Rajesh. A software analyst from Bengaluru, Rajesh (29) had already begun a social initiative through a Facebook page called ‘Save Farmers’. “Personally, I was disturbed by the increasing number of farmer suicides in Tamil Nadu. So, along with friends, we were providing monetary support or setting small poultry farms for families that had lost farmers to suicides. But we wanted to do something more permanent and that’s when we met Parvatha during the protests,” he says. 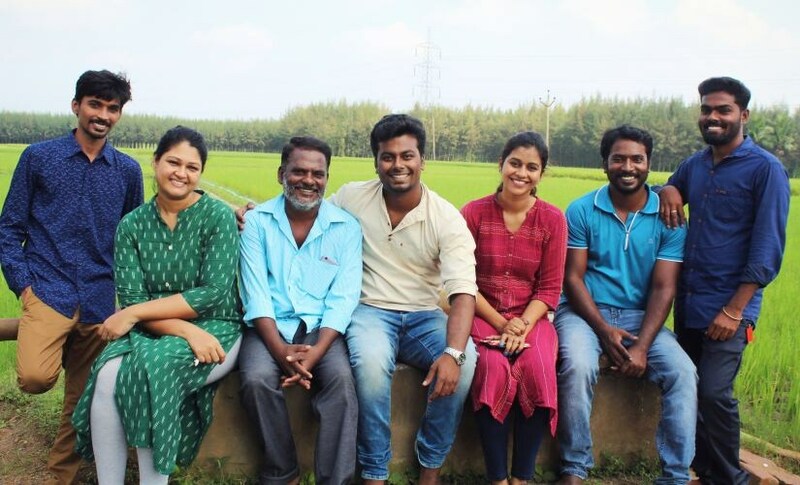 The duo then connected with like-minded protestors — businesswoman Nandhini (29), engineer-turned-organic-farmer Ganeshamurthy (29) and automobile professional Keerthapriyan (25) — to form the core team of a refurbished ‘Save Farmers’ (SF) forum. “The fact is jallikattu protest was not just about the sport. It was an outburst of years of pent up anguish on issues like farmer suicides, proposed methane projects in farmlands, political apathy towards the citizen and so on,” says Keerthapriyan. “The protests showed that what we couldn’t do as a single person, we could do together,” adds Nandhini. By the time the protests ended, their ‘Save Farmers’ page grew to over 20,000 members in a week (thanks to the sudden spurt of interest amongst youngsters in farming). Ganeshamoorthy talks about how they chose to approach the existing agrarian crisis, “What was the use if the Government subsidies were going towards buying pesticides and urea and the farmers remained in debt? Nothing would change when the procurement price is too low.” So that’s what they did, they doubled the procurement rate for rice and even got unemployed youngsters to manufacture organic farm inputs (like panchagavya) for the interested farmers, the farmers, in turn, had to provide them chemical-free organic produce. It was a win-win. Sivakumar from Koodapakkam village (one of SF partners) is a happy farmer today, “Initially, I was sceptical about working with these youngsters. The first time, I did get two sacks less than conventional farmer but I made a comfortable profit despite that.” Around 16 villages in Puducherry and 40 villages in TN work with Save Farmers and the produce is now mostly sold within the group, with plans for expansion already in the pipeline. 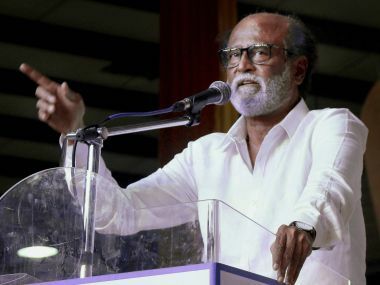 “We did not want this spirit to end with the protests,” and so we with like-minded volunteers, most of who were students, he began ‘Save Vellore forum’ right after the protest. They took issues that concerned their city the most. “First, we helped clean the huge Otteri lake (1,000 acres) and a pond in Abdullapuram.” They have since coordinated with Vellore corporation to create awareness campaigns against plastic usage, encroachment of water bodies and “now have plans to green the city further with a ‘selfie with a tree’ campaign,” Sathishkumar explains. Before the jallikattu meltdown, it was the Chennai floods in 2015 that jostled the common man in the street out of his complacency in Tamil Nadu. It was the first time, this generation of so-called keyboard warriors took to the streets to help in rescue and rehabilitation. The jallikattu protests later gave this citizen-led activism a whole new dimension as everyone came under a single radar, IT professional Ashok A.J (27) who runs Direction for Volunteers (D4V ) page on Facebook explains, “Though we began volunteering during floods, it was jallikattu that broke the urban-rural barrier and brought everyone together. Our data of volunteers doubled. For instance, we could see that many Chennaiites who were not involved during the earlier Ockhi cyclone got actively involved for the Gaja cyclone in delta region.” His page connects volunteers with those in need of aid across verticals like disaster management, education, blood donation, organic farming etc. 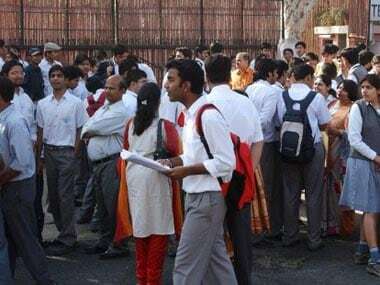 They have since educated over 102 students across the state, rebuilt three schools and have collected over Rs 15 lakhs and Rs 22 lakhs for Kerala cyclone and Gaja cyclone respectively. Social media has played a colossal role in building and sustaining this momentum after the jallikattu protest. Divya Marunthiah (30), a civil engineer from Madurai, tells us that their volunteering page – The New Face Of Society (TNFS) hit close to 70,000 followers after the protest. “We actually began operations during the Chennai floods with traffic updates, rescues, rehabilitation etc,” she says. She reckons that the unanticipated side-effect of the protest was that people from all walks of life — police officials, bureaucrats, businessmen, students – connected. The impact of this ‘social’ network directly led to the collection of a whopping 19 tonnes of relief materials during Kerala floods and 20 tonnes to the Gaja-affected delta regions by TNFS volunteers. From verifying forward messages of help to getting relief issues sorted on priority, pages like TNFS has become the first point of contact for TN citizens during an emergency. In the shadow of a gigantic protest, nameless volunteers have begun silently revolutionising democracy as we know it; a democracy in which the citizen has found his voice.